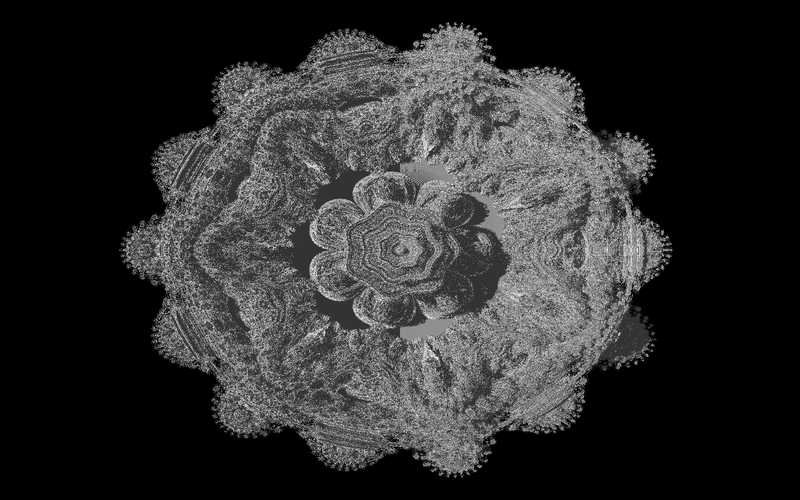 So I discovered some links created by others about a 3D kind of fractal that is sufficiently interesting (a 3D mandelbrot rather than a Julia). So I went ahead an implemented myself just so that I could explore it. 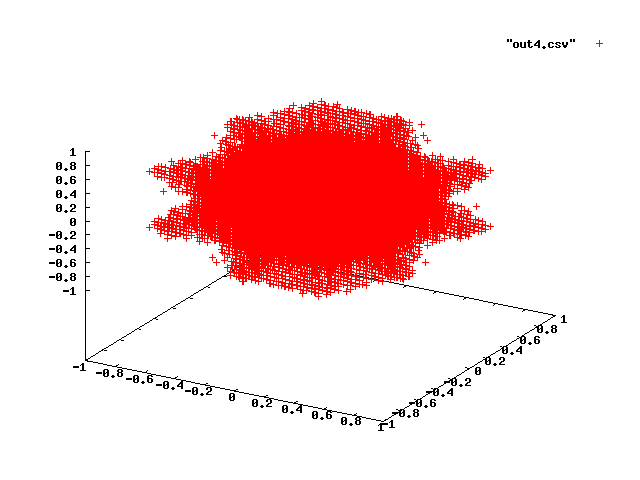 My first attempt in Gnuplot. Very disappointing. Now we're getting somewhere. It sort of looks like a Mandelbulb! Sort of. 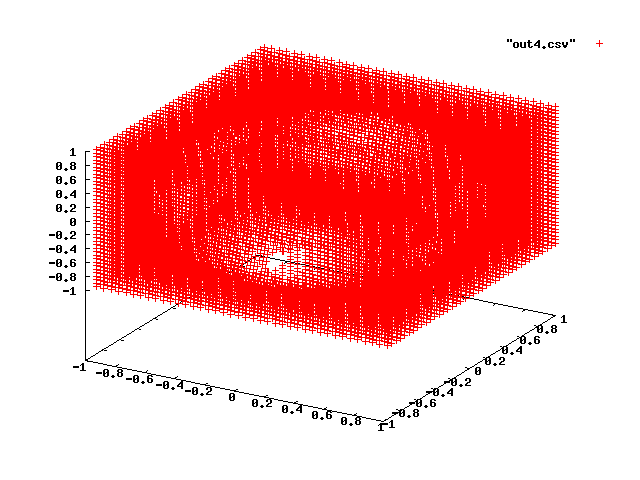 Eventually I knew I'd need something more spectular than GNUPlot so I tried VTK within Paraview. Points of a mandebulb rendered at 50x50x50 converted to boxes. 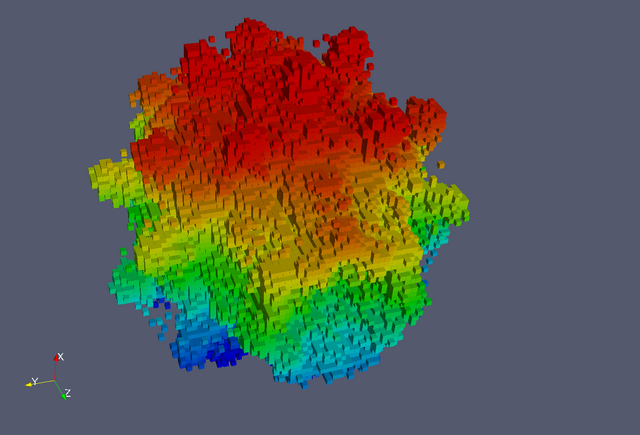 Eventually I figured out that it was best to say that my data is voxels and the points that aren't important but here are the scalar values at the points. 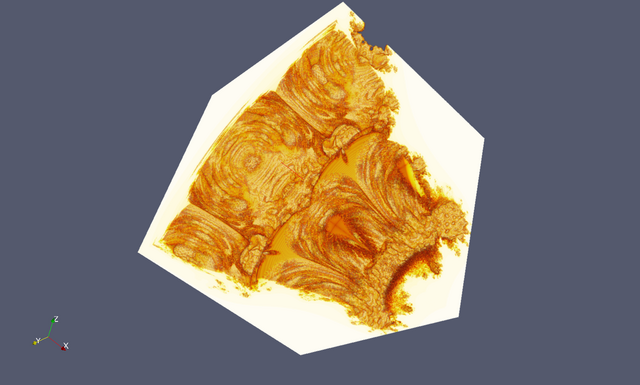 This was using structured_points vtk data type where the grids is assumed and then you stream out all of the scalars associated with each point. But at least it worked! Here are the VTK files I made BTW since the haskell is horribly slow and I didn't parallelize it right (the scheduling overheard was too great and the parallelism was too granular, IMHO). Here's the haskell function I used. I decided raytracing was necessary (in fact a friend kept harassing me about it). So I modified Povray because I have previous POV experience, I like POVray, and it is a quality render. 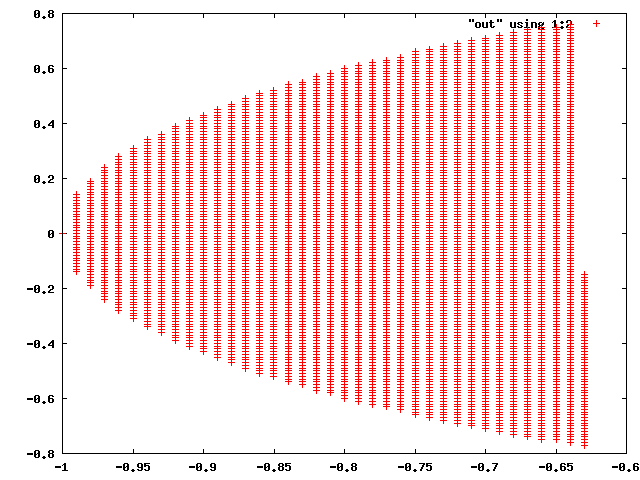 I found that values less than the threshold were drawn by the isosurface (so 0.0 or less). Which I implemented myself to solve the Mandelbulb problem. If you need to be stingy about it, I put my mandelbulb changes under the WTFPL V2 with boilerplate, this means POVRAY can integrate with it just fine. Later I considered that if you were only going to do so many iterations that povray's own internal language would've sufficed as it'd just be loop unrolling. I really suggest looking closely at the hi-res anti-aliased image. Investigate the shadows. You'll see that solid structures are actually quite hollow and lacey as shown in their shadows. I'd like to improve the rendering or animate but I simply don't have time.